I'm not sure if it's part of the whole pregnancy nesting thing or what but I absolutely can not wait to have some free time this summer to do some spring cleaning and redecorating around the house. It's all I think about! For now, I'll have to settle for planning. 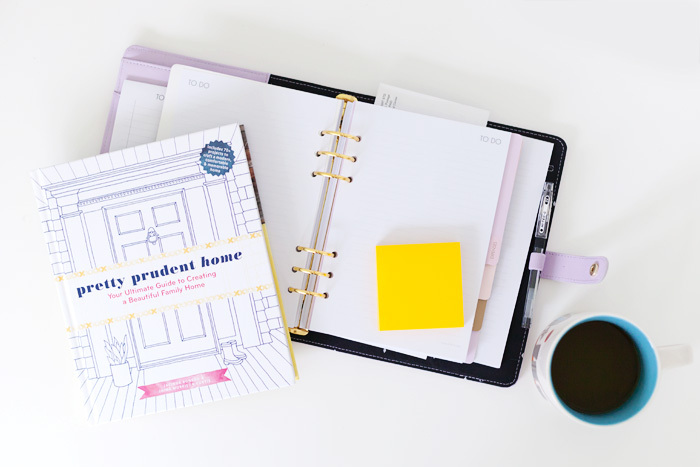 The publishers of Pretty Prudent Home (written by the lovely ladies over at Pretty Prudent) sent over a copy for me to check out - perfect timing. 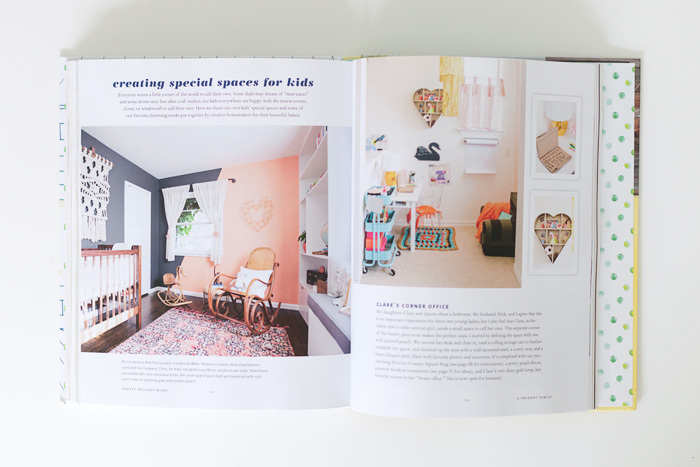 I love a good home dec book and this one has lots of inspiration, projects, tips + tricks, and more. If you'd like to win a copy for yourself, enter the giveaway at the end of the post! 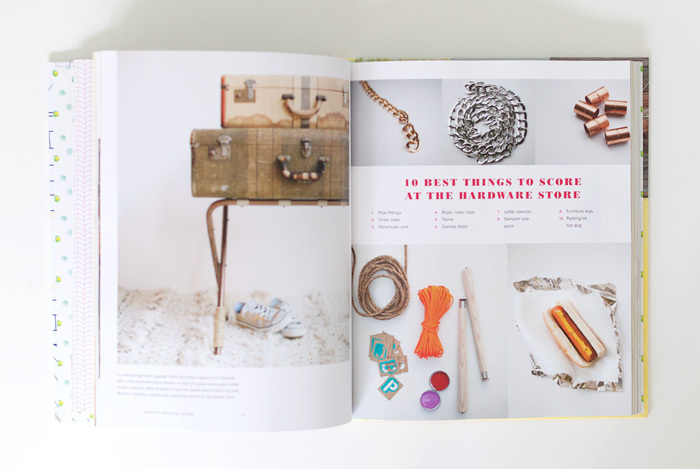 Some of the topics the book covers are: finding your style, vintage finds and thrift store DIYS, how to paint anything, party planning, wall decor, special spaces for kids, and more. I'm really excited to dive into the painting section because I have some kitchen cabinets in dire need of sprucing up as well as an old nightstand that I'd like to makeover. Oh and there are recipes included as well that I'd love to try out! Do you have any home decorating projects you'd love to tackle? 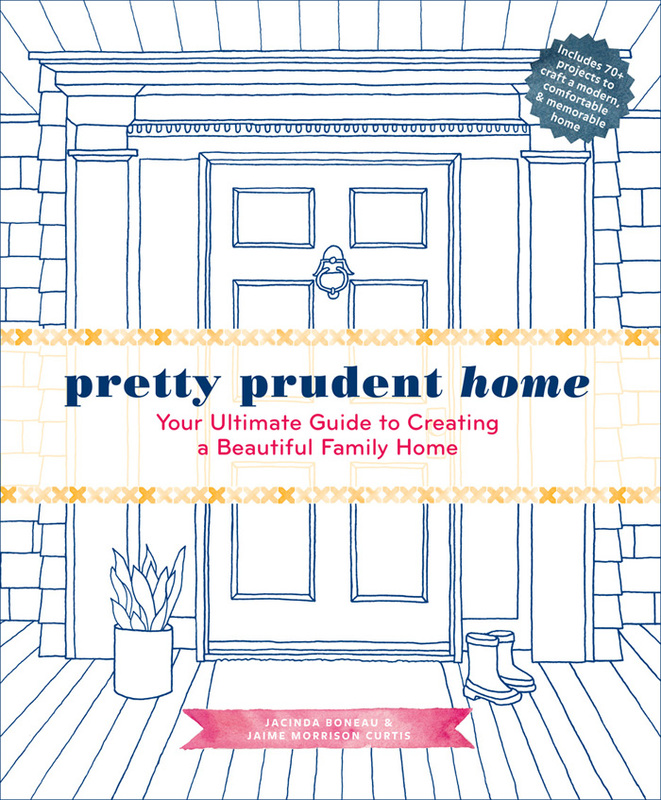 Share in a comment below for a chance to win your own copy of Pretty Prudent Home. 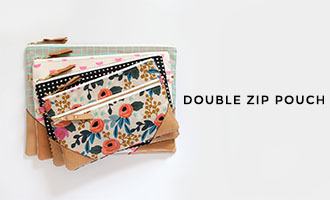 Giveaway open to US and Canada residents only! One entry per person please. 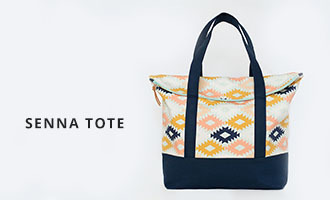 Ends Friday, April 17th at 10 pm cst. Good luck! Thanks for the giveaway! I have a whole HOUSE of projects I want to tackle...where to start first? I think a bathroom makeover. I'd like to get more pictures and things up on our walls. :} Thanks for the chance to win! I definitely need help in the wall decor arena! My kids room has not much more than beds and I would love some cute in there too. I would like to start with my basement aka my workplace. We were going to start with the bathroom (yes, our *one* bathroom) but my sweetheart is suddenly quite excited about painting our mudroom chocolate brown. Go figure. I think we could definitely use this lovely book. My master bath is so outdated and needs much work. This would be my starting point! My mother suffered a medical emergency 3 weeks before my wedding date. Needless to say, the original date was not an option. The party planner handled the crisis really well. Not having to deal with logistics during this stressful time was so wonderful for my family. Do I? :) We are recent empty-nesters and I have one room I need to spruce up for a guest room. I have some odds and ends in there with a bed, but I'd love to make it warm and cozy for guest. I don't want them staying 2 weeks or anything, but a few nights is great! Many small projects - painting, refinishing, refurbishing, etc. and major -- kitchen/dining/family room re-do -- this will not be this year, hopefully next year. Our upstairs bathroom needs a makeover....badly!!! Been wanting to paint our bathrooms and kitchen for the last 14 years! The white is SO boring! I would love to make our bedrooms more comfortable and inviting! Right now our bedroom and our daughters' bedroom are just basic essentials and I want to make them feel more like home! 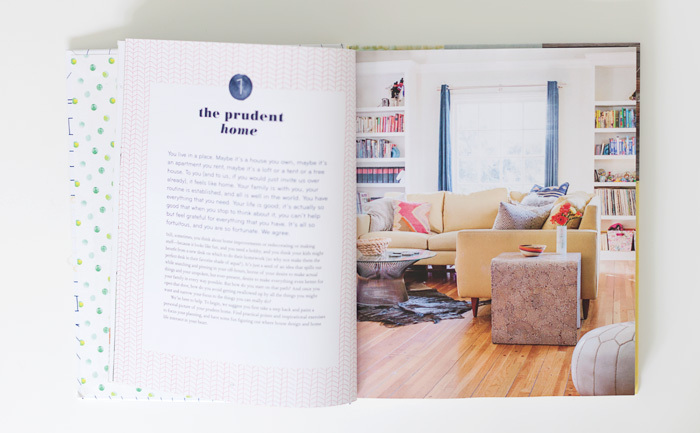 I am always looking for smart ways to decorate a rental when options are limited! We need to move out of our apartment and then start decorating!